​The Woodlands is a census-designated and a planned community in Texas that is within the Houston metropolitan area. This community is only 28 miles north of Houston and began as a bedroom community to Houston and a suburban development. Over time this master-planned community has attracted many corporations and houses several corporate campuses such as Huntsman Corporation, ExxonMobil, Baker Hughes, Chevron Phillips, Maersk Line, Safmarine, GeoSouthern Energy and Southwestern Energy Company. This community came about due to an oil investor in the 1970s, who created The Woodlands Corporation. In 2012, the US Census Bureau declared the area around The Woodlands as a “large urbanized transit area.” this community is in a forest area, and most of the community has kept the trees for both shade and beauty. At Sealcoat Houston, we are dedicated to educating our customers about the realities of asphalt pavement surfaces and how asphalt coating can greatly benefit your driveway or parking lot. It is important to know that an asphalt base is a surface that naturally experiences wear and deterioration over time. This is where one of the various types of asphalt crack sealant can come in handy because it is very inexpensive to fix cracks in asphalt driveway or parking areas with sealcoating. On the flip-side, if you do not seek out proper maintenance and asphalt repair and seal, you will have to deal with expensive asphalt repairs or even reconstruction of your driveway or parking lot. If you own a residential or commercial property that has some type of pavement surface, seal coating is something that can protect your pavement investment and save you a lot of money over time. A seal coat is a type of barrier that is put on top of your asphalt pavement, which in return provides a protective seal from natural elements. Much like staining a fence for protecting, seal coating asphalt will protect the top of your pavement surface from deterioration, oxidation and the Texas sun’s strong ultraviolet rays, which can all cause pavement raveling. Over time, a sealcoat will wear down from the harsh environmental factors, leaving the pavement underneath untouched and looking brand new. By sealcoating asphalt, you will extend the life greatly of your driveway or parking lot and save money on expensive asphalt repairs. Professional driveway sealing can also be used to repair small cracks, in order to prevent them from turning into large and dangerous cracks that can threaten the integrity of your pavement. It is vital to not ignore cracks, as water will sink down into them and slowly damage your pavement structure, creating a dangerous environment and it is very expensive to fix at that point. At Sealcoat Houston, we recommend that you get a professional sealcoating within the first one to two years of getting your asphalt driveway or parking lot installed. Proper maintenance over time is also important, so it’s important to get an asphalt resealing when it is recommended to prolong your pavements life and give it the best protection. There are various types of asphalt sealants available and some last longer than others. Our professionals would be happy to speak to you about your pavement area and what type of sealcoating product would best suit your needs and budget. ​Our skilled professionals will be happy to evaluate your asphalt driveway or parking lot to see what type of sealcoating or repair you are in need of. We offer a variety of asphalt sealant products and we will gladly explain each to you and the different benefits they offer. At Sealcoat Houston, we strive to protect all of our customer's pavement with excellence, so they can focus their time and money on other things than asphalt damage. Call us today for a free estimate on professional sealcoating! ​The Texas City of Sugar Land is a part of the Houston-The Woodlands- Sugar Land metropolitan area located in Fort Bend County. 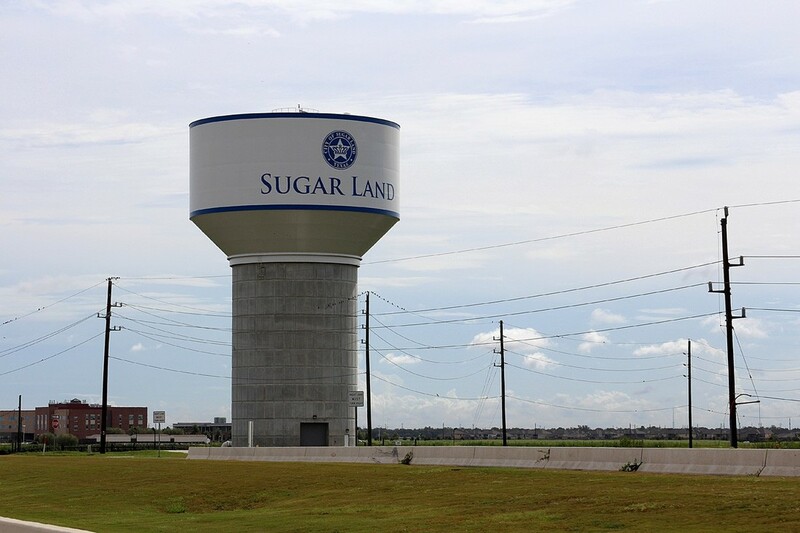 Sugar Land is one of the most affluent cities in Texas, as well as one of the fastest growing. This city was founded in the mid-20th century on a sugar plantation, which gave the city its name. Sugar Land is still proud of its sugar heritage, as it is home to the headquarters of Imperial Sugar. To celebrate the city’s sweet heritage, the Imperial Sugar crown logo is on the city seal and logo. Sugar Land is the economic center and biggest city in all of Fort Bend County. In 2008, Sugar Land was one of the cities selected by Forbes as one of the Houston area’s “Top Suburbans to Live Well.” Also, for multiple years, Sugar Land has been recognized for being one of the safest cities to live, which makes it an ideal place to raise a family. ​We take great pride in being the Houston metro area go-to for a full-service asphalt sealcoating, paving, and repair company. If you are in need of a professional grade asphalt seal coat for a residential or commercial property, we would love to work with you to protect and/or repair your pavement investment. Fatigue cracking in pavement is also known as alligator or crocodile cracking, which is a very common kind of asphalt damage. Alligator cracking is made up of interconnected cracking in the top asphalt layer, which looks very similar to an alligator’s outer layer. This type of asphalt damage can vary in size, but the average crack is less than six inches across. The cause of alligator cracking is usually the result of a loading failure, various environmental factors, poor water drainage or multiple over-loadings. This type of asphalt crack should not be ignored for a long period of time, as advanced alligator cracking can turn into potholes or pre-pavement failure. By hiring us to perform alligator asphalt patchwork, you will save a lot of money in the long run by not having to pay for costly pavement repairs or even replacement. Alligator patchwork is very inexpensive compared to other types of asphalt repairs such as potholes, so it is important to call us as soon as possible to protect the life of your pavement. By paying attention, you will avoid the complete reconstruction of your driveway or parking area. Our professionals will also educate you on how to prevent future alligator cracking on your pavement. If your driveway is a loading area, it is important to take measures to avoid overloading, as this is the number one cause for alligator cracking. If your pavement has poor drainage and always seems to flood when it rains heavily, then you need to address your drainage issues to preserve the life of your pavement. At Sealcoat Houston, we strive to help our customers protect their asphalt investments and ensure a long life. ​We would love to give you a FREE quote. You will find we offer the most competitive rates for all of our asphalt and seal coating repair services to the entire Houston metro area. Asphalt crack filling and sealcoating is our specialty and we pride ourselves on having the most experience and professional team to work on all types of pavement surfaces. We have been in business for many years and strive to help property’s look beautiful, safe and long lasting through our fixing asphalt cracks. There is no job that we consider to be too big or too small, and we would love to speak with you about the alligator asphalt repair or any other pavement issue you are having. Call us today for a free estimate on asphalt alligator crack repair! 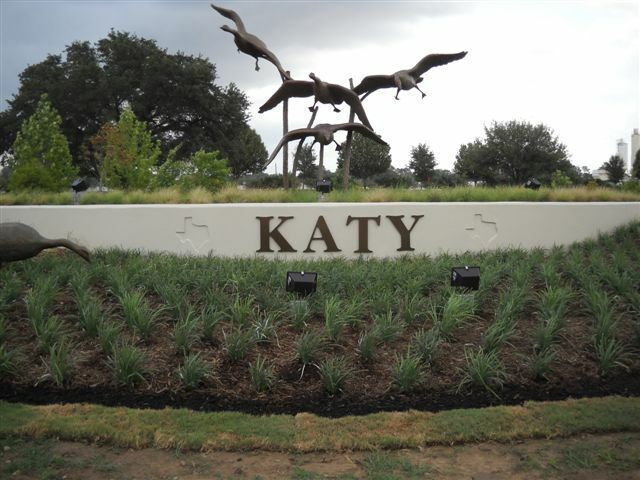 The city of Katy, Texas is located in the Houston-The Woodlands- Sugarland metropolitan area. Katy spans into three different counties: Waller, Harris and Fort Bend. This city is proud that their old heritage is still alive, while new ideas, businesses, and families are thriving and growing at the same time. There are always family friendly events to do year round in Katy, celebrating the city’s heritage, arts and national holidays. When visiting Katy, a must see is the Railroad Park, which is downtown. The downtown area is knowing as the “pocket park” and is home to the historic Missouri-Kansas-Texas Depot, which has been restored and acts today as the city’s tourist center. This central location is perfect for visitors, as they are able to get information and brochures about things to do through Katy. ​We are proud at Sealcoat Houston to be the number one asphalt sealcoating company serving the entire Houston Metropolitan area and to bring our unmatched services to the city of Katy. We use only the best asphalt sealer and we strive to make sure all pavement our professional's service looks both amazing and your investment are well protected. We service both residential and commercial properties, and our professional crew will not only meet all of your asphalt seal coating needs but we will also educate you on asphalt maintenance and repair to ensure the long life and integrity of your pavement surface. Asphalt sealcoating will not only make your driveway or parking lot look better and well maintained, it will also protect your pavement investment and extend its life. An asphalt sealer will protect a pavement surface from the sun’s damaging UV rays, which naturally causes deterioration of the aspects of pavement. This is extremely beneficial in the Houston metro area, as hot, humid days are very common. Asphalt sealcoating also has great benefits in wet and cold weather as well, as it protects the pavement from crumbling due to water or ice. There are various types of asphalt coating supplies that are available for asphalt resealing or a first time sealcoating, depending on the type of pavement used, size or age. Our professionals will evaluate your property to see what type of asphalt sealer will best meet your pavement’s needs. Asphalt sealer comes in two types of formulas: plain or filled-sealer. We recommend filled-sealers as the best option because they contain sand or some type of other solid that helps the sealer fill in holes and cracks in the pavement. Research has even proven that the more fillers there are in an asphalt sealer, the better quality it will be. Filled sealers tend to be a little more expensive than plain ones, however, you certainly get what you pay for. In the last five years, an airport grade driveway sealer has been produced, which is the strongest of all asphalt sealers. If your driveway receives a lot of traffic or heavy machinery constantly drives over it, airport driveway sealer may be something you would like to consider using. Airport grade driveway sealer is made up of durable acrylic polymers, which makes it last longer than any other type of asphalt sealer formula. ​At Sealcoat Houston, there is no size of asphalt that we consider to be too big or too small for a professional asphalt seal. From tarmac sealing to a home driveway asphalt resealing, we do it all. We guarantee that our professionals will have your driveway or parking lot looking amazing once we get through with it. The asphalt crack filler supplies and formulas we have available are the latest and best materials and we use the most up to date technology and techniques on all of our asphalt sealing jobs. We strive to offer competitive prices to the entire Houston metro area for all of our asphalt sealer products. Call us today for a free quote on your asphalt sealcoating needs!